YA Bound Book Tours: Blog Tour Kick-Off: Rising Ridge by Alexa Jacobs! 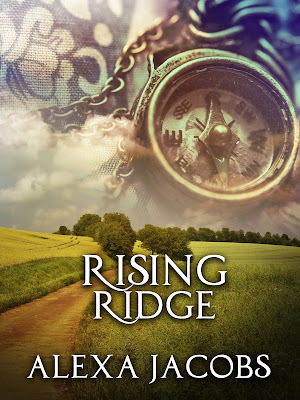 YA Bound Book Tours is organizing a Blog Tour for: Rising Ridge by Alexa Jacobs. This tour will run from February 8th to 12th. Check out the tour schedule below. Olivia Reynolds was free. Twenty years old, living in New York City, and having absolutely no idea what she wanted to be when she grew up, every day would be an adventure, or at least that was the plan. When a phone call from her brother lands her back in her home town, and dealing with an unexpected tragedy, she comes face to face her brother’s best friend Dean and realizes that the feelings she had buried long ago were still there. Dean Winston has lived with the fact that Olivia walked out of his life two years ago, and was never coming back. With her back in town, he struggles to be the friend that she needs him to be, and not the lover that she once wanted him to be. With lines between childhood friends and secret lovers once again blurring, Olivia must decide between the possibilities of her future and the ties of her past. Some strings just refuse to be cut. Alexa Jacobs was born and raised in the suburban outskirts of Baltimore, Maryland. She met her husband through friends in high school, and began what turned out to be a short lived career in the financial industry. With her first child, she became a stay at home parent and threw all of her energy into becoming the queen of Pinterest before Pinterest was a thing. When her second child headed off to kindergarten, Alexa thought that it was time for a career change. After a decade with at least one child underfoot 24 hours a day, it was time for her to discover who she was going to be when she grew up. Turns out, she was a mom who sat by the window and cried the entire day on that first day of “freedom” from early parenthood. A few months, and many kindergarten volunteer days later, she sat down at the computer and dusted off the rough draft of a story she had crafted years ago. That draft turned into her debut book, Rising Ridge. 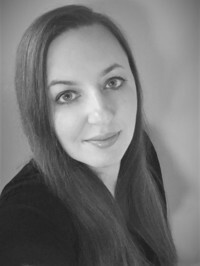 Alexa is a member of the Romance Writers of America, and participates in many writer circle groups.